Mariuca's Perfume Gallery: Made in Malaysia! With the Merdeka (Independence) Day coming up this Sunday August 31, I'm going to display some patriotism here at MPG by voluntarily joining the Merdeka Meme by Manggis he he! I LOVE the beautiful illo by Manggis! It comes in either colored or sephia and since I already have the colored one over at Mariuca, I'll go for the sephia version here! PS. What are your plans for this coming Merdeka holiday? Care to share with me? 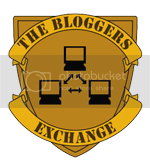 Add your site(s) to the list if you're a proud Malaysian Blogger! Pass this tag to as many Malaysian Blogger as you know, or if you're interested but nobody tags you, just include yourself voluntarily. Show some patriotism! Once you've done posting this tag, leave a comment HERE! and you will be visited by a Malaysian local fruit, Mangosteen by the name of Mango! and added to the Master List. 1. mangosteenskin - Saya anak Malaysia! 2. Life is too short to be ordinary - Malaysia Tanahair Ku! 3. Sha's Love & Passion - Aku Anak Merdeka 4. A room of crazy scrapper - Merdeka!Merdeka! Merdeka? 5. Fliffy - Aku Patriotik, Sayang Malaysia ! 6. Rizal 7. haniz - Merdeka Forever! 8. Prozak Nation 9. CarolPinky - Proud Malaysian! 10. Mariuca - I HEART Malaysia! 11. 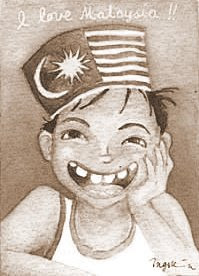 Emila’s Illustrated Blog - Saya Anak Malaysia juga 12. Simple Life - Sam - Saya Anak Malaysia 13. Shemah's My Sweet Escape - Live, Enjoy and Love.. MALAYSIA! 14. Mariuca's Perfume Gallery - Made in Malaysia! 15. Yani-Tennitodoku-Proud to be a Malaysian-MERDEKA! 16.Bluecrystaldude from My Little Black Pot - Saya Harap Malaysia Terus Maju! 17. Apples of the eyes 18. Snapshotcap - Freedom of choice is made for you my friend :) 19. Anaheus 20.Confessions Of A Breathing Tote Bag 21. A Great Pleasure - Malaysia is a food paradise ~ simply yummy~licious! 22. Mummy HnH - Harith and Hannah - MERDEKA 51st Celebration!!! 23. Shafie - I'm Here For U Malaysia 24. Nessa - Happy 51st Merdeka, Malaysia! 25. marvic 26. Deasya 27. Asian Mutt International 28. Point Blank - Sokonglah Pelancongan Domestik, Malaysia Cantik Indah Nian! 29. Oyis Baby Journey - Selamat Menyambut Hari Kemerdekaan ke-51, Malaysia! 30. the life of a psychotic weirdo 31. Me,HubbyNKids-Hidup Malaysia !! 32. In Person..Zahiela Online- M.E.R.D.E.K.A!!! 33. Mimi-MERDEKA!MERDEKA!MERDEKA 34. ealyie.vanity strikes. 35. .vanity strikes. i grew up as a Malaysian shopaholic! 36. sweet life of ladyell-Selamatkan keMERDEKAan Malaysia..AllahuAkbar! 37. .~ripples of rasp ~ - Here In My Home, Malaysia 38. IT's ME..Niniess Passion - Proud to Be Anak Malaysia! 39. Dila ~ini duniaku~ - My heart, my soul, my dreams and my life all belong to MALAYSIA...40. YusVogue - I am Anak Malaysia Blogger 41. atune 42. Apa-Apa Jemama adib 43. mama adib 44. Better you Better world- Bangganya menjadi anak Malaysia 45. This is My Life by Osindak 46. Turn-u-Off 47. T.H -Malaysia My Home 48. A glimpse of Moi - Happy Merdeka 49. Home Sweet Home 50. ....... LadyVerde - I am bless to be Malaysian!!!....... 51. Lina's Loft - Anak Merdeka 52. Pourpres - Cubaan Menjadi Patriotik 53. Diahlicious - Buatan Malaysia :) 54. My Very First Blog - Be Thankful You're Malaysian! 55. The Ranting Cynic - I am Malaysian, mah.! 56. Lianny 57. Taf Teh 58. aRa's Official Blog - I was born in Sarawak...I grew up in Labuan...Further Study in Sabah and now i'm in Semenanjung...I'm MALAYSIAN!!! 59. Life's Roller Coaster - Beautiful Malaysia! 60. Carrot Run! – Cherish our land~ 61. Speechless - Zsazsa Project 62. Shopping - Malaysia Selamat Merdeka 63. mrs. ezman 64. My Life Story, something to share.. MERDEKA!! 65. Tekkaus - More WE, less ME! 66. It's a Rat's Life - Malaysian to the core! 67. Hatiku di sini - Berbanggalah kita kerana kita adalah rakyat Malaysia. Semoga keamanan terus bersama kita!! 68. Eiza - Higher than mountain, Deeper than Sea - Selamat hari Merdeka ke 51!! 69. SueGinola- i LOVE u MALAYSIA...!!! 70. Liangmui 38 Zone 71. Echo from Physco 72. you're next! hi mariuca! added MPG at no 14! thanks sooo much!! the bloggers u tag, are so quick at giving response...very sporting lah they all. i like the tagline...Made in Malaysia! hm...perhaps i should make "Made in Malaysia" stamp and chop it at the back of my swap card...especially those which go for international swap, kan? hehe. I think Made in Malaysia is soooo appropriate and Manggis can really do a great one with that!! YIPPEEKAIYAY!! Yay! Thanks Shemah, you're so efficient today la he he! Oh wow, thanks dearie, I kinda liked the sound of Made in Malaysia while figuring what would be a cool M'sia tagline from MPG, so happy to get 2 thumbs up for it! Ooh, that LadyJava is everywhere! She's in my Roxiticus Desperate Housewives sidebar, too! Just dropping by to say good morning (night) to you...a sunny but cool day here at the beach! Me here with LJL dearie... I woke up early but had to wait for 12noon to strat my round.. just finished watching boldie... yihaa!!! EH, you mean u watched 23 and 24th???? Mininova tak keluar lagi ni! ehehe... you dah ada template choice ke?? lol.. yesterday I was up till 4am but you were no where in sight..lol..
Ha? 4am je? Usually u kan all-nighter he he!! I was watching DVDs last night, cause finished my job oredi! I wan to watch, but nanti B ketinggalan pulak, so I'll wait to see if the 2 eps will come out today, otherwise it's utube for me too I guess! Oh I skg tengok kat youtube jer.. though it does take time to buffer so normally i load it and leave it while I do something else.. sometimes mini kalau dah lama tak der.. terus tak der kan? Buffering speed really depends on timing.. like today it was super fast.. in fact macam tak buffer pun..
Yeah woman.. this carla girl just uploaded yesterday's epi when I went to the channel just now.. I'm telling you the Forresters can be pretty dense sometimes...lolzz!! Aiyooooooooooo, which Forrester la? Must be Felicia and Ridge ni? LOL! Okay, okay, nanti kita discuss ye? But I think it'll take a few more eps before they reveal the culprit kan? yeah.. who knows when they gonna reveal the culprit.. how long did it took to reveal Stephanie's shooter?? I missed those few epis. It took weeks kan?? Biasa la Boldie, wan to make ppl confused by giving so many suspects, but we all know it can't be Donna of course, right? Anything on K? Just say yes or no he he!! Hoping I could be in Malaysia someday! Manggis's illustration is wonderful Mariuca !! I'm glad the card finally reached you. I sent it earlier but you guys were not at home. At least you got it before your birthday ya. Congrats to all Malaysian Bloggers and it's wonderful you are all proud of your country! Mommy's been there: Merdeka Square back in 2004. Malaysia truly Asia (that used to be the official Tourism commercial then). Beautiful country and people! Whoosh! Whoosh! Nessa!!! THANKS so very much for my awesome birthday card! B and I think that u put in a whole lotta effort in my very pretty card, LOVE it dear! LOL!! Mrs. Ezman, you're so cute! It's okay, u can always have ur Merdeka meme up after the 31st, enjoy dulu he he! Awwwww thanks Jean! I tried to mengomen, but connection not so good and I had so many things to do and birthday celebrasi some more, so couldn't even reach 400 he he!